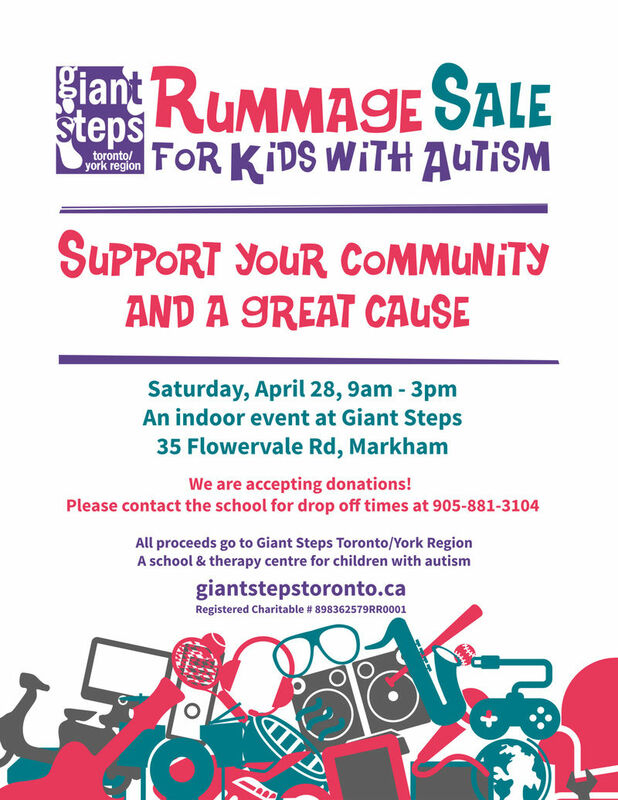 Giant Steps’ parent group is holding a rummage sale in our gym at our school & therapy centre for kids with autism. All proceeds will be used to support Giant Steps’ hands-on therapy programs for children with autism. Come out for some great finds, and support your community and a great cause!